When James was a baby, I searched Scripture for just the right verse to pray over his life. As I would rock and feed him at 2:00 am, I wanted to whisper a verse that he would remember as he grew. One that would be true of him when he was two, twenty-two, and forty-two. After reading and praying, I finally picked a verse. That is exactly what I wanted for him—to grow smarter, stronger, and for God and others to show him favor. 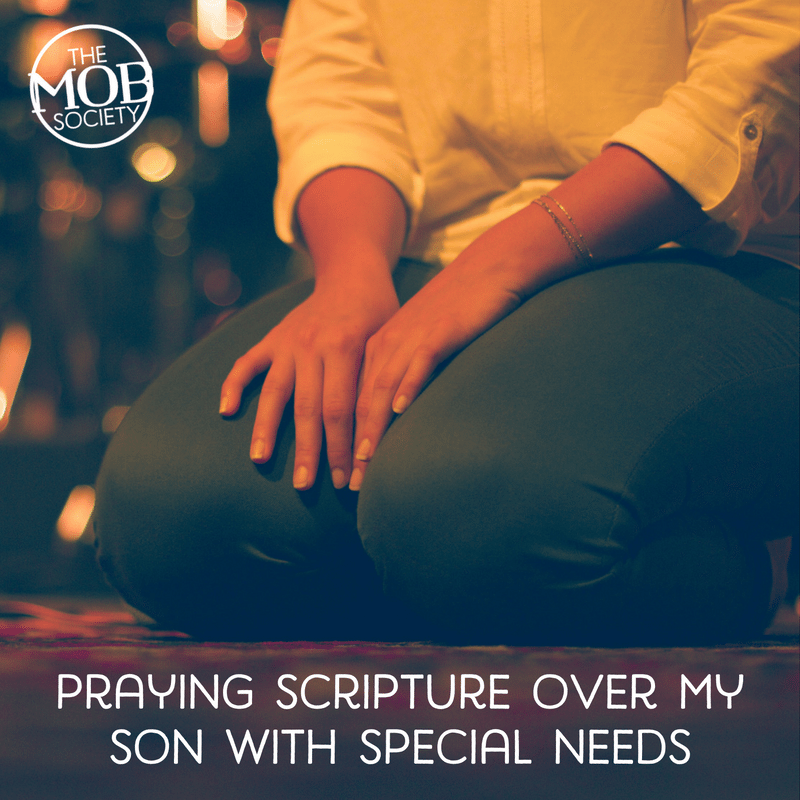 When he was diagnosed with autism at age three, this verse became even more important. The truth was, he wasn’t growing smarter or stronger. At that point, he was losing communication skills and well below average for weight and height. Others weren’t showing him favor. He was excluded from friends’ birthday parties and kept to himself around peers. 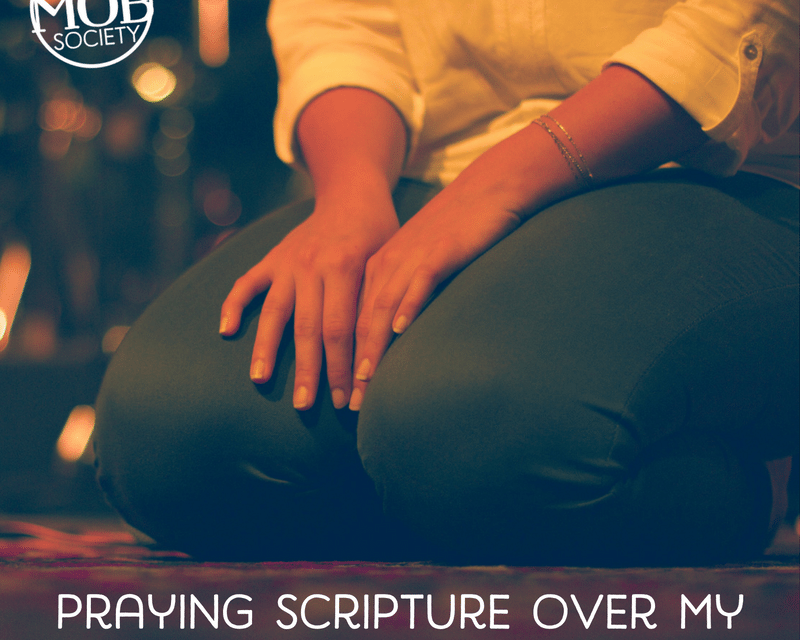 Even as we struggled with our new role as special needs parents, juggled doctors, therapies, and new diets, and learned acronyms like IEP, SPD, and GF/CF, I continued to pray. “God, I’m begging you—help him to grow smarter and stronger. Show favor on him. Cause others to include him, be patient with him, and love him.” Night after night. Again and again. Now, I see my prayer being answered. He is learning. He is growing. When we walk down the hall at church, he gives high fives and sometimes even smiles to people who know him, who accept him as he is and love him. And God is showing him favor—blessing our church’s special needs ministry that started because of James. Bringing people into our lives who are hearing the gospel because of doors James is opening. So I will continue to pray this verse over James. To ask God for more. To remind myself of what He’s done in our lives. To give Him all honor and glory. Sandra is MOB Society's editor. She's also a church planter's wife and autism advocate. Sandra is the author of Speechless and Held. She and her family live outside of Houston, TX. My 25 yr old son is diagnosed as Schizoaffective disorder (which also includes ADHA, IMPULSE/COMPULSIVE disorder) and some other things. He was baptised 2/20/2011 (DOB 6/22/1993) but all he talks about now is how God could never want him, he’s to messed up. I am a praying my and I know the devil is a liar but this us breaking my heart.